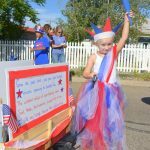 Palisade will celebrate Independence Day on Tuesday, July 4th beginning with the sounds and sights of the 4th of July Parade. 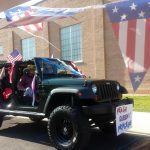 The Parade route will kick off at 9:00 AM from the Firehouse and travel north on Iowa to 3rd and down Main where it will end at Veteran’s Memorial Park. Kids are encouraged to decorate their bikes and join in the parade. Be at the Old Gym on 7th Street by 8:30 AM. 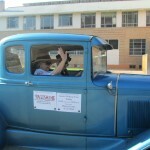 There is still time to enter a float. 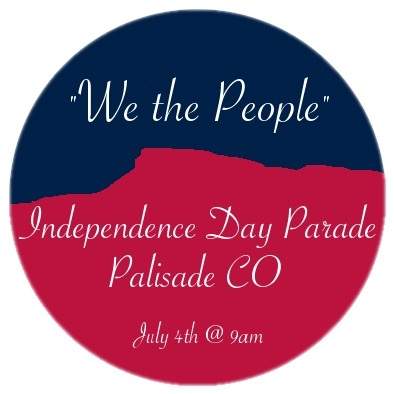 Call Tyler at 970.778.0209 or go to visitpalisade.com/events/Independence Day. Festivities will continue at the park with games and fun for the kids. Palisade Fire Department will have the trucks on hand with fire hoses to cool you off. Vendors and food trucks will be on hand but you are welcome to bring your own picnic and enjoy the shade trees. Bring chairs or blankets. Palisade Lions Club will be on hand with ice cream.